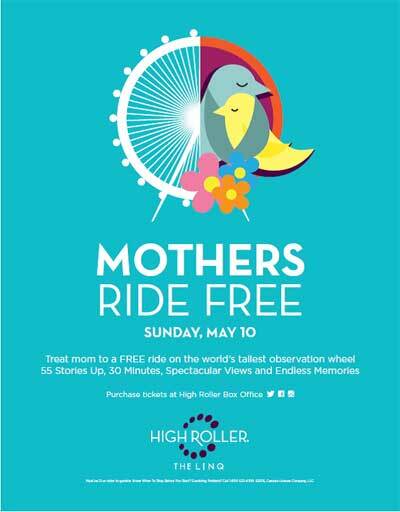 In honor of Mother’s Day, mothers ride free this Sunday on the High Roller! Treat mom to a free ride on the world’s tallest observation wheel 55 stories up, 30 minutes, offering spectacular views and endless memories. Special Mother’s Day offers are available throughout The LINQ Promenade such as Two for $25 Ghirardelli Spring Flower Boxes at Ghirardelli Chocolate Shop and a special MOM Box available at Sprinkles Cupcakes Las Vegas. Mother’s Day packages will be offered at High Roller Box Office as well as The LINQ Concierge from 12-6pm on Mother’s Day Sunday, May 10th only. *Available for purchase Sunday, May 10th only - kids 12 and under ride free! Celebrate Memorial Day Weekend at The LINQ Promenade and on the High Roller with free rides for guests with valid military ID Saturday, May 23 through Monday, May 25 in honor of Memorial Day. 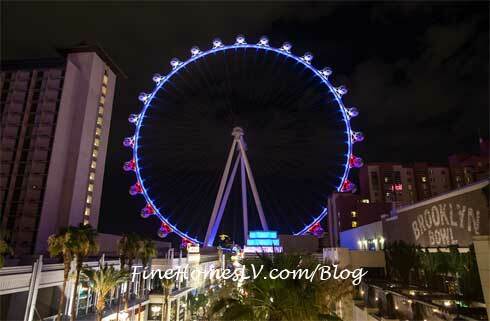 The High Roller will also change colors to red, white, and blue in support of the holiday weekend. Guests will also enjoy live entertainment all weekend long and drink specials such as Tilted Kilt’s Moscow Mule for $7. Tuesdays – BLOQ Party with special offers throughout The LINQ Promenade and locals ride the High Roller for 50% off with local ID. Enjoy live music followed by Silent Disco on the LINQ Fountain Stage. Saturdays – The LINQ Fountain Stage comes alive with live DJ sets performed by Drai’s resident DJs every Saturday night.